Dr. Brian Blount is a 1980 graduate of the University of Houston College of Optometry. He was born and raised in Gulfport, Mississippi, but has been a Texan since graduating from the University of Houston. 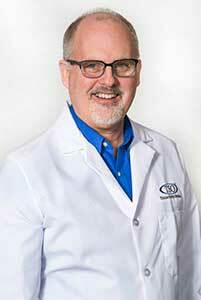 He is a Past President of the Texas Optometric Association, and still is active with the TOA Board of Directors. He is also a member of the American Optometric Association and a Diplomate in the American Board of Optometry. Dr. Blount currently sits on the Texas State Optical Board of Directors. 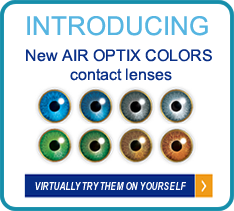 Dr. Blount is a family practice optometrist who is licensed to practice therapeutic and glaucoma specialties. He has been practicing in the Beaumont area since 1981, and has been loved by generations of his patients. While he may be best remembered for his sense of humor and his fun-filled nature, he has practiced optometry in the most technologically advanced manner possible since receiving his license in 1981. His wonderful chairside manner is equally matched by his clinical skills. Dr. Blount and his wife, Rose, have two grown children. In his spare time, he can be seen playing keyboard with the local vintage rock band, "Stone Cold". He is absolutely an automobile aficionado. When not traveling on the optometric lecture circuit, Dr. Blount also water skis, snow skis, and scuba dives.